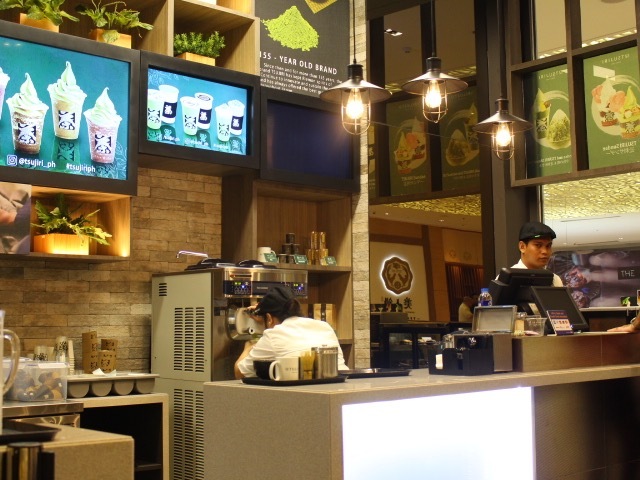 After envying almost anyone who has tried Tsujiri for weeks, I finally had the chance to try this store that's located conveniently close to my office! 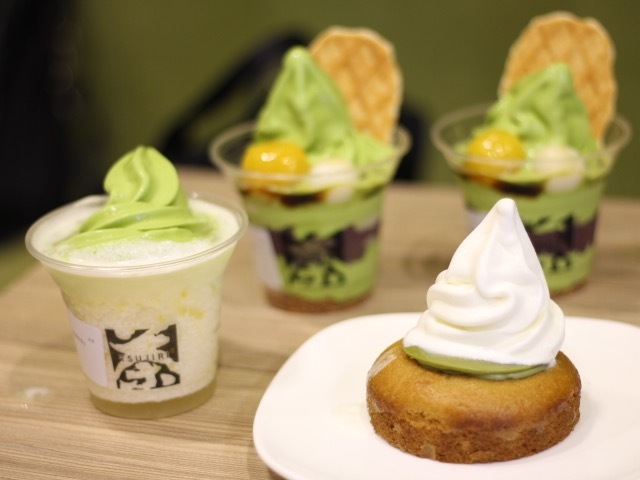 Tsujiri is the newest addition to the establishments trying to meet the people's increasing demand for a healthier after-meal treat, and of course, the matcha craze. Honestly, I wanted to try almost one of each of the categories on their menu, but there's just too many and we (me and my cousin) won't be able to finish them. 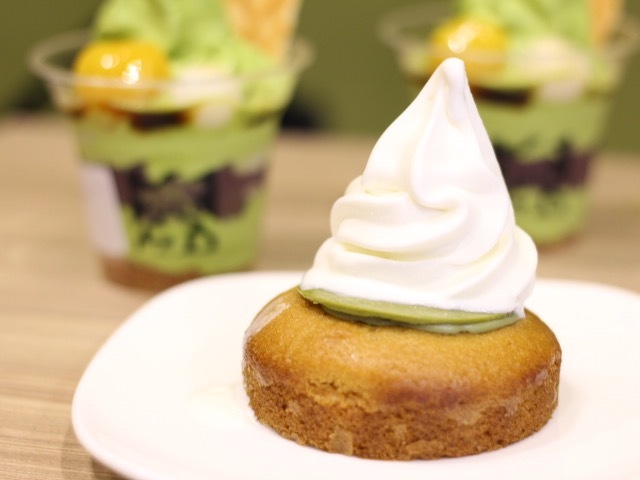 So, we ordered their Tsujiri Sundae (best seller), their yuzu is citrus float and their matcha lava cake. 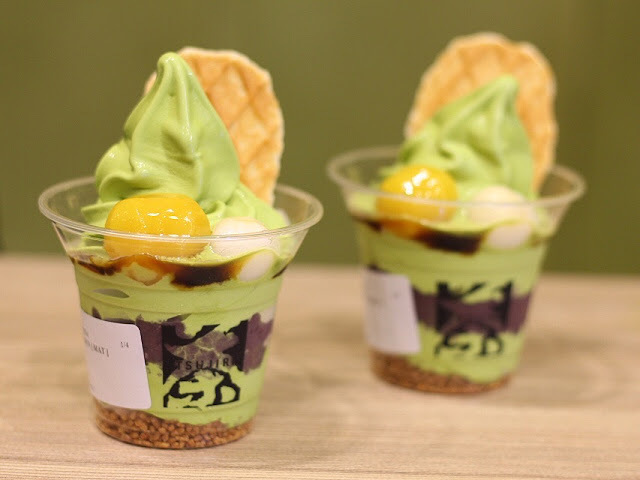 Matcha ice cream lined with roasted brown rice, with a layer of red bean paste, and topped with shiratama (mochi balls), chestnut and belgian waffle (because the pink, flower cracker wasn't available). I actually didn't find anything special about their sundae. The roasted brown rice was also the one thing I hated about it. I guess a little of it would have been okay, or if it was evenly distributed in the dessert, then that's fine. I just didn't appreciate having too much of it with too little ice cream left. It's tasted a bit off. We liked the citrus drink. It tasted a bit different to the usual lemon drinks we have. It had the perfect balance of sweet and citrus. 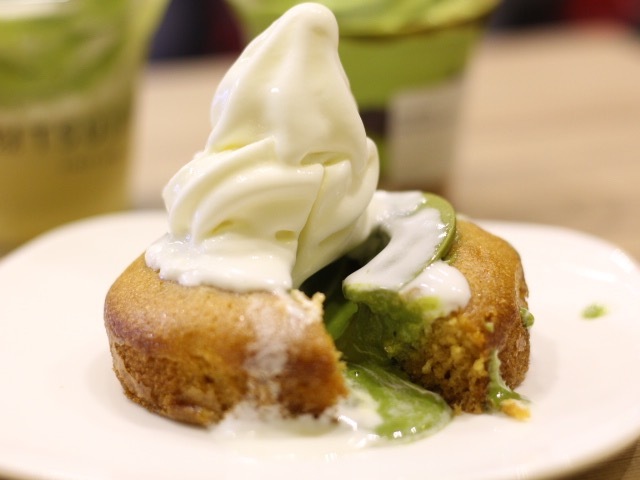 Sufficiently (close to moist lol) moist matcha lava cake with a thin matcha chocolate disc and vanilla soft serve on top. We loved this one. Each ingredient kept the other in balance, so make sure to have a bit of everything in one bite. Oh, and their matcha soft serve had the right, creamy consistency for me. 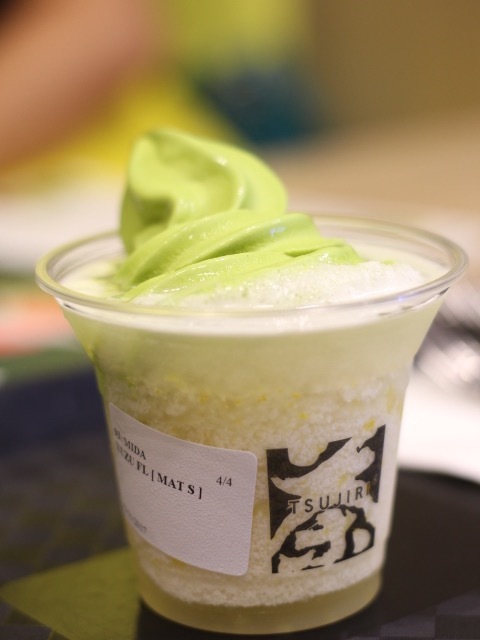 It was also bitter, which is what I always look for in a matcha dish.